TIMBA.COM: We'd like to start by asking you about your life before you became one of the most respected musicians and arrangers in Cuba. What was your musical childhood like? Where and with whom did you study? Who were your early musical role models? CERUTO: I started studying the violin at the age of 7 but switched to flute at 12 and graduated as a flautist. Next I studied at the ISA (Superior Institute for the Arts) for period of 3 years. I was always a part of classical groups during my first few years at school, but later on I joined pop groups, which is what got me interested in orchestration. I started arranging for groups formed by the other students. This is also when I developed my interest in Jazz music, especially Maynard Ferguson, Duke Ellington, etc. TIMBA.COM: What groups did you work with when you started playing professionally? CERUTO: I was a founding member of Opus13. Later I became a founding member and musical director of "Paulo F.G. y su Elite". TIMBA.COM: What was your first arrangement? CERUTO: My first professional arrangement for a recording was for "Anda dime por que" for Opus 13 . 3) The arrangements for Paulito F.G.
4) The freelance arranging you've done since leaving Paulito for Issac Delgado, Hayla Momprie and others. Let's start with the most recent, "A Puerto Padre", a beautifully-packaged and recorded CD containing your arrangements of nine compositions by the late great Cuban pianist Emiliano Salvador, performed by an all-star Cuban band and featuring a large number of guest performances from Issac Delgado, Chucho Valdés, Ernán López-Nussa Tata Güines and many others. How would you describe the role of Emiliano Salvador in the history of Cuban music? 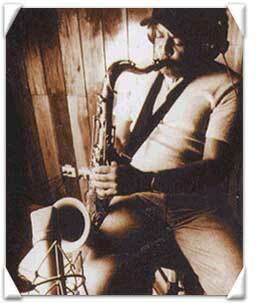 CERUTO: For me, Emiliano Salvador is the most important composer and musician of Cuban Jazz. He covered all the genres of Cuban music: Son, Bolero, Contradanza, Danzón, etc. - even Salsa, which is why he left such mark on Cuban music. His influences can be heard in the work of many internationally known Cuban musicians. Emiliano mastered the three elements of music: harmony, melody and rhythm. TIMBA.COM: Do you remember when you first became aware of Emiliano Salvador? Did you know him personally? What personal experiences can you share about your encounters with him and his music? CERUTO: I wasn't lucky enough to meet him personally although I've known about him since my school days. I heard him performe in Jazz festivals in Havana on several occasions. To know and study his work has left a mark on my concept of Cuban Jazz. I learned a lot from his harmonic approach and melodic movements. TIMBA.COM: How did the idea for this CD come to you? CERUTO: As Cuban musicians, Emiliano had such a great influence on our musical careers that I felt that we owed it to him to rescue his work.